Want to find out the game-changing digital innovations impacting retail? How disruptive technologies like AR, voice activation, artificial intelligence, 3-D printing, block-chain etc. are changing the status-quo in the retail industry? 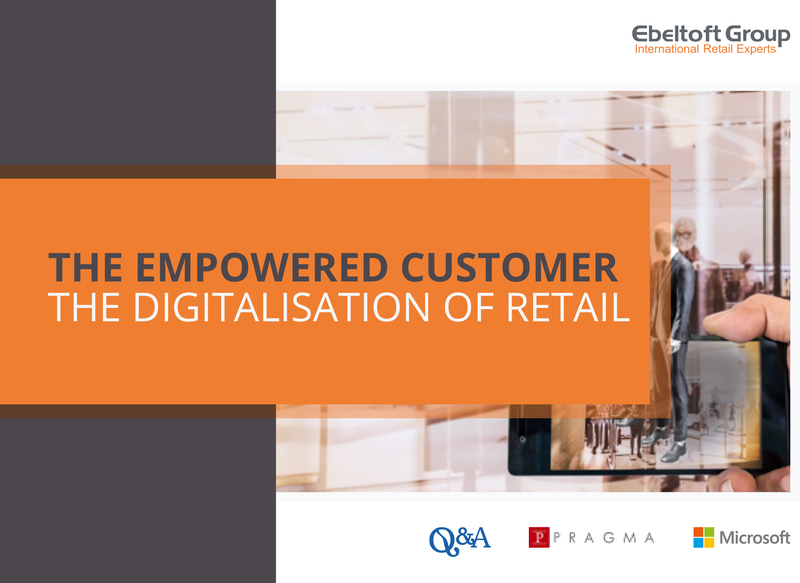 Ebeltoft Group breaks down the impact of technology and digital Innovations for the retailers and their customers in this compelling White paper report- The Empowered Customer; The Digitalisation of Retail. The report also outlines what retailers will need to consider when adopting these technologies with examples of businesses utilizing these digital tools to grow customer engagement. If you are interested in 'The Empowered Customer; The Digitalisation of Retail', you can request a download by filling in the form below.